You are here: Home / Training / Why Do We Deload? It seems everyone who trains seriously with weights knows you should deload. Most folks hate deloads and only begrudgingly do them. Others don’t deload at all because they either feel they don’t need them, or that they will lose their “gainz” if they do. I think this is mostly because people don’t know what deloads do and why they should be incorporated. My intent in this article is to set the record straight on how deloads work and the physiological reasons they are helpful. I would highly recommend taking the time to read a short blog post I wrote a few years back before proceeding. It’s a real world actualization for what I am about to outline. First let’s talk simple arithmetic and discuss what’s commonly known as the Fitness-Fatigue model. In fact, for us weight lifters and bodybuilders, let’s call it the Strength-Fatigue model. You see, when you show up to the gym, you are actually showing up as one or two versions of yourself on any given day. One of these versions of you is the person that knows what they can do, based on what they have done. For example, the person that has benched 225 for reps before on a good day, or the person that has been able to squat 315 for a beautiful, deep 1RM. This version of you is your potential strength. However, that version of you isn’t the one necessarily stepping into the gym. However, the version of you that more often shows up to the gym on any given day isn’t this person. Training is a physical performance and you have to realize is that your performance on any given day may not be representative of your full potential. In fact, for most intermediate and advanced lifters, your performance on MOST days will most likely not be to your full potential. So, let’s return to the Fitness-Fatigue or Strength-Fatigue model. Again, the output – your actual gym performance – is a result of your potential strength minus your fatigue. However, we don’t want to think of fatigue as the tiredness experienced through training in the short term. That’s inherent and is part of the process; you exercise, you are immediately tired in the short term right after and while doing it. Conceptually, think of fatigue as a shadow following you around. Often, it’s not noticeable, but it is an ongoing, building factor that becomes more noticeable over time. It’s the reason you could not get that 225lb bench press for 5 reps that you have done before. Fatigue takes away from your potential strength and is what you are left with on any given training day: your performance in the gym. Now the simple math. Let’s assign a random value of 10 to your potential strength of benching 225lbs x 5. If your fatigue levels are low, let’s say at an arbitrary value of 2, then your performance for your training on that particular day would be at 8. Potential strength 10 minus fatigue level 2 equals your performance level of 8. This is of course an oversimplification of what performance is like in a vacuum where only fatigue and fitness exist so you can learn this conceptually but bear with me! Getting back to it, with an 8 out of a potential 10, your ability to bench press 225lbs on that day is pretty high, and you might get 4 or maybe 5 reps with a spot. However, let’s say the opposite is true and your fatigue levels are high, at an arbitrary value of 8. Now you only have a performance level of 2. In this case 225lbs for 5 reps is almost certainly not going to happen. In fact it could feel impossible on that day. This might be a good day to lighten up loads a bit, autoregulate a bit more, or simply bag it and train another day. If you have trained long enough, you’ve felt days like I described above. If you haven’t yet, you will. Fatigue sneaks up on you. You can feel fine and not even know you are fatigued at all, until it comes time to perform and the reps or the loads just aren’t there. So the question begs, what causes this sneaky fatigue? Obviously training causes fatigue as we demand more and more from our bodies. However, the ebb and flow of life in general has just as much of an effect on fatigue (positively or negatively) as well. A restless night of sleep can drive fatigue levels up. Stress in life, regardless of its origin, will drive fatigue levels up. Illness, dietary discomfort, dehydration, the list goes on and on (see Eric’s recent article about this here). These factors can all exacerbate fatigue levels and impact performance on any given day. So, if training fatigue is low and you have a stressful day or poor sleep, your performance may or may not be affected. However, if training fatigue is high AND you experience any of the issues I mentioned before, performance will most likely be low and you might not know it until you are in the thick of the battle. Now that you know why we should deload, exactly how do you deload? The generally accepted principle is that you just take an “easy week of training.” However, that is not necessarily always the case (what about a high load, low volume week for example?). 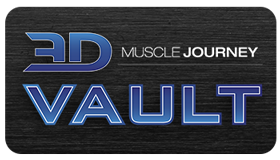 A deload can serve its purpose and not necessarily feel or be “easy.” Also, a week of deload may only serve as a speed bump when fatigue levels are very high and not be long enough to significantly reduce it. I plan to expand on all of this, and more, in future blogs. Stay tuned!